Queen Sirikit Botanic Garden, about 2km past the Maesa Elephant Camp, where 227hectares have been set aside for plantations, nature trails and vast greenhouses full of exotic and local flora. 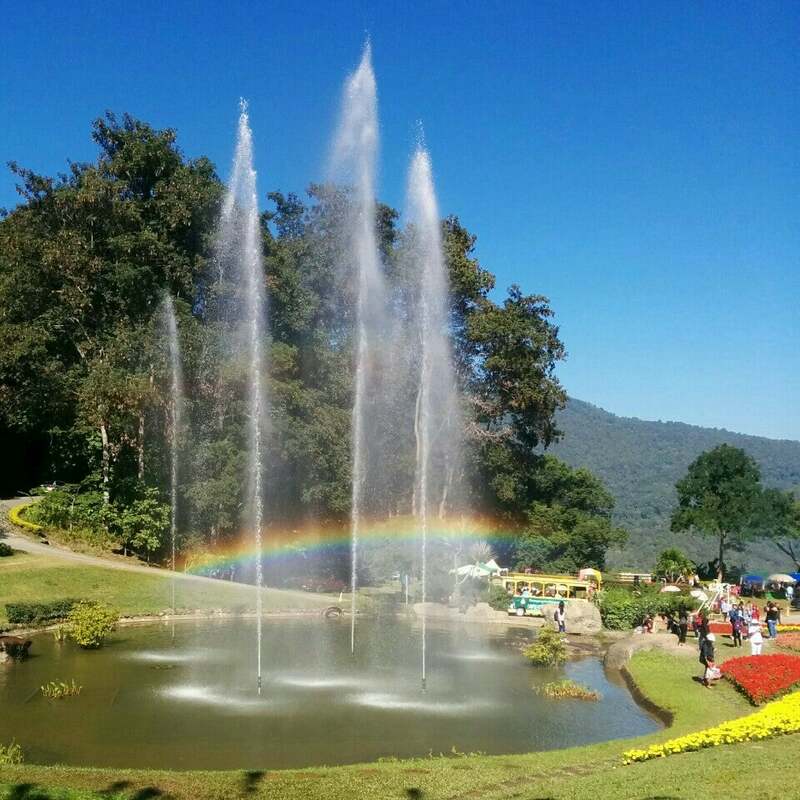 Why Queen Sirikit Botanic Garden is special ? The Queen Sirikit Botanical Garden in Amphoe Mae Rim, Chiang Mai Province, Thailand was opened in 1992 and is maintained under the auspices of the Thai Ministry of Natural Resources and Environment. 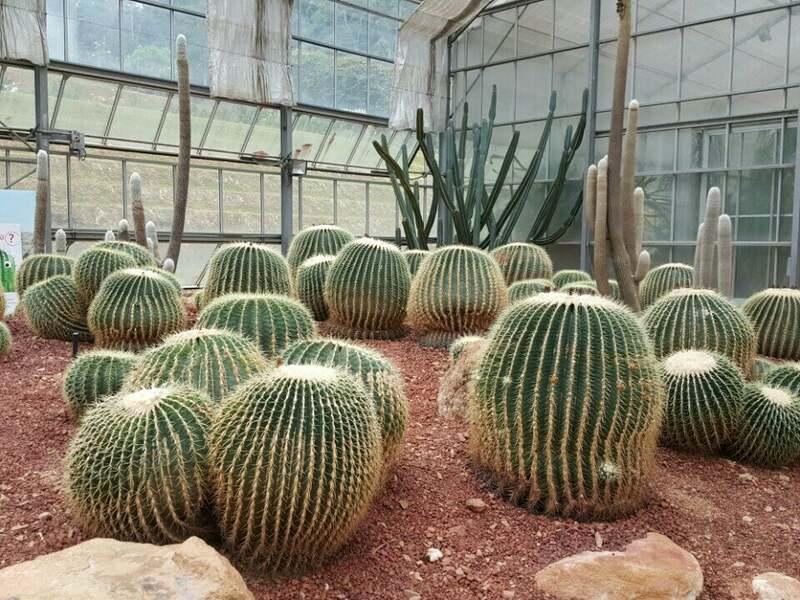 Queen Sirikit Botanic Garden (QSBG), or formerly known as Mae Sa Botanic Garden, is the first botanical garden of the country at international standards for there are scientific basis and purposes for the collections, and the provision of botanical education and research. 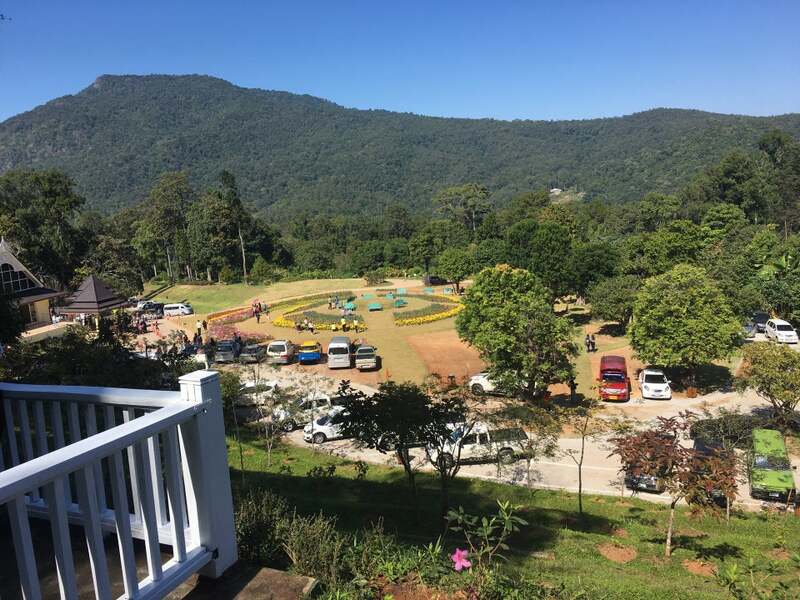 In 1994, the BGO received the honor from HM the Queen to grant a royal permission to name this northern botanic garden after Her Majesty ‘s name as “Queen Sirikit Botanic Garden”. The main objectives of the Garden are to serve as a center of Thai flora for botanical study and research, to render services concerning biodiversity and environmental conservation, as well as to provide an aesthetic place for the general public. 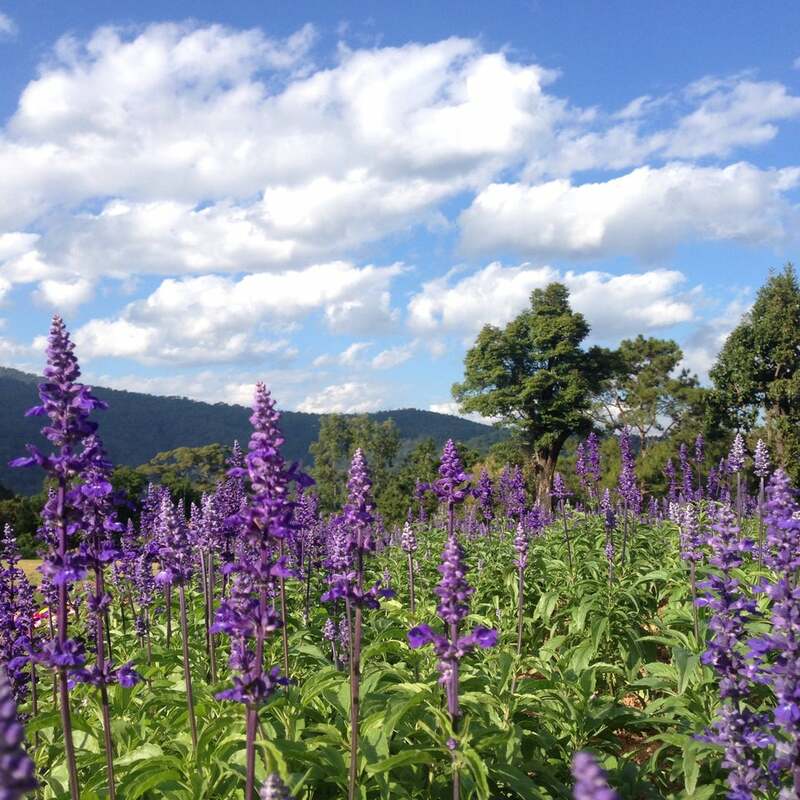 What to explore at Queen Sirikit Botanic Garden? The layout of the botanical garden is basically a loop traversed by an undulating road or interconnected series of footpaths. Both routes snake through manicured grounds and unmanaged forest before eventually lead to the most visited area of the gardens, the greenhouse complex. Near the administration building is the orchid collection, containing over 400 species, the country's largest public display. The highlight of the garden is the glasshouse complex sitting near the mountain peak. The Rainforest House recreates a southern Thai forest with ferns, palms, ginger and other tropical species. How to get to Queen Sirikit Botanic Garden? 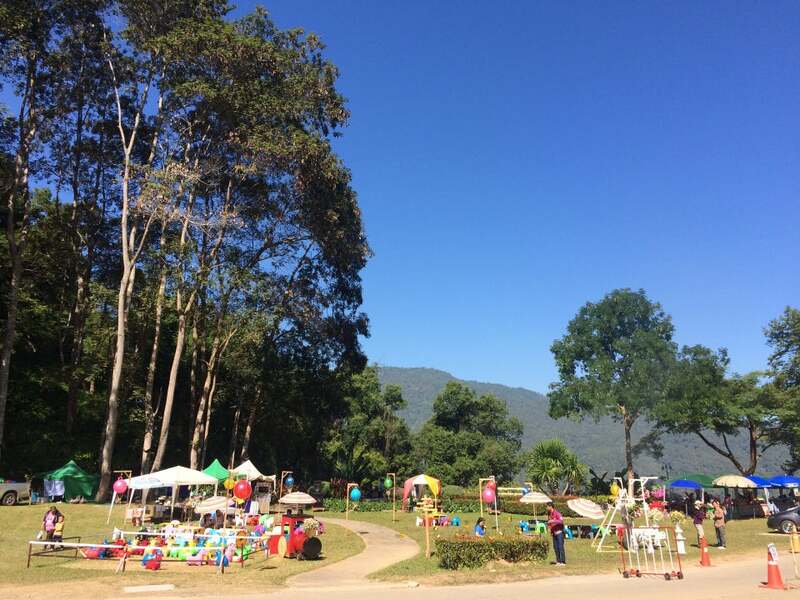 The garden is about 45 minutes easy ride by car from Chiang Mai city centre. The best way to get there is hire a tuktuk for a round trip. If you get there, you need to arrange for transport back to your base, there were no taxis’ waiting for return fares. The garden is huge and you need a car to go from one attraction point to another. Further up the hill is a plant and gift shop, a snack bar and place selling Thai food. You should try to go early in the morning to beat the heat, because few areas have shade. There is more to see if you have the time. This is a very nice place to visit but only if you like or are interested in flora and fauna. There is also a Museum of Natural Science and an amazing orchid nursery. Tours for all of these attractions can be booked in advance by contacting botanical garden administrators. For those wanting to hike, there are several minor trails you can explore. Of these, two of the more popular lead straight to scenic areas.